Reports that levels of Vitamin D vary by race are being re-examined. Some population studies had shown that blacks were much more likely than whites to have had lab readings that suggest a Vitamin D deficiency. The findings were puzzling because the low levels did not carry the same risk of bone fractures or heart attacks in blacks that they did in whites. This discrepancy might stem from not having the right test marker for Vitamin D status, or it could be that genetic variations in the marker skewed test results. In the earlier population health studies, levels of the form of Vitamin D that the body can actually employ were checked with a common test called a monoclonal immunoassay. These lab tests involve antibodies that recognize and attach to specific molecules. Hoofnagle’s team and collaborating labs at other institutions have developed and are testing more than 10 new assays in clinical studies of Vitamin D deficiency. All are based on liquid chromatography-tandem mass spectrometry – another way to identify and quantify molecules in a complex mixture. Using this technology, the researchers sought to measure blood levels of a protein called Vitamin D binding globulin, which holds onto vitamin D in the bloodstream. Genetics determines the form of Vitamin D binding globulin that a person carries: One form occurs more often in people of African descent, a second is more abundant in those of European descent, and a third appears in roughly the same degree of frequency in Africans, Asians and Europeans. The researchers compared the new assay and the monoclonal immunoassay with 187 participants in the Atherosclerosis Risk in Communities study. Information on the participants’ genetics was available to the researchers. The results from the monoclonal antibody assay were inappropriately much lower in the presence of the Vitamin D binding protein more common in blacks, in contrast to the tests results from their new assay. Those results are reported this week in Clinical Chemistry. While this did not provide definitive evidence, they noted, it strongly supports the hypothesis that the monoclonal antibody assay could be affected by genetic differences and produce misleading test results. It would call into question previous studies suggesting that blacks have the same level of Vitamin D in its usable form. Overall, Hoofnagle said, “This research adds to all of the available information that indicates the need for more reliable clinical tests for Vitamin D levels to avoid misdiagnosis, and to correctly identify the risk of disease due to Vitamin D deficiency.“ He also added that no reliable, long-term data exists about the effects of Vitamin D supplementation. Addressing the larger issue of biomarkers being rapidly identified for a variety of diseases, the researchers called for careful validation of reliability as initial discoveries move toward clinical applications. In addition to UW Medicine researchers, the scientists contributing to the Clinical Chemistry paper were from the University of Minnesota and Johns Hopkins University. The study was supported by National Institutes of Health grants DK035816, CA160034, HL10306, HL103706-S1, RO1DK089174, and T32HL007028 and McKnight Land Grant Professorship Funds. 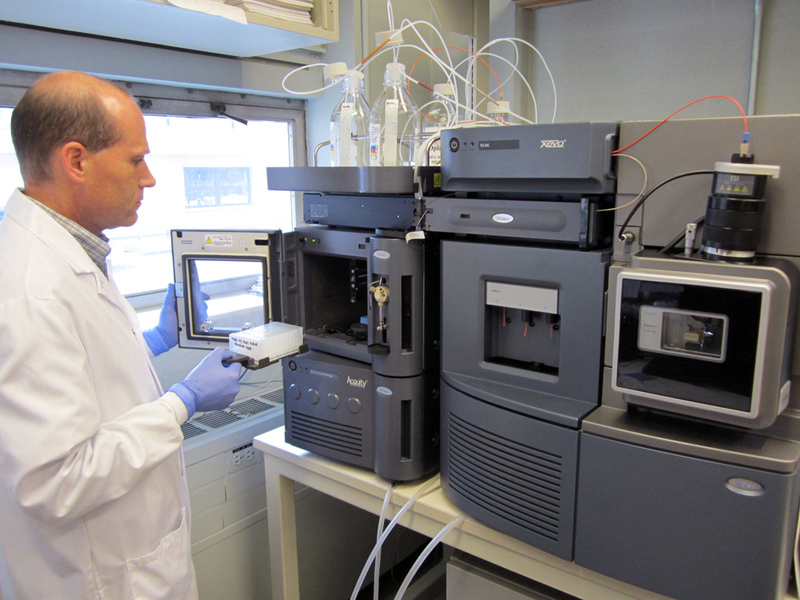 University of Washington also received grant and equipment support from Waters, a mass spectrometry company.